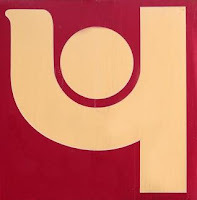 Punjab National Bank (PNB), public sector lender is aiming to expand its overseas presence and is considering countries for possible entry in the coming days. The bank has identified Maldives, Singapore, Brazil, South Africa and Bangladesh for overseas foray. The bank has cleared the bank's entry into Maldives and surveys have also been done for countries like South Africa and Brazil. The bank will be interested in converting its representative office in Sydney into a branch or a subsidiary. In last September, PNB had opened a representative office in Sydney, which was the tenth overseas destination for the bank. Reserve Bank of India has given approval to PNB for opening a subsidiary in Canada. It is still awaiting the nod of Canadian regulatory authorities for opening a subsidiary in that country. The bank has subsidiaries in London and Bhutan, besides many branches in Dubai, Hong Kong and Kabul. It also has a joint venture in Nepal.